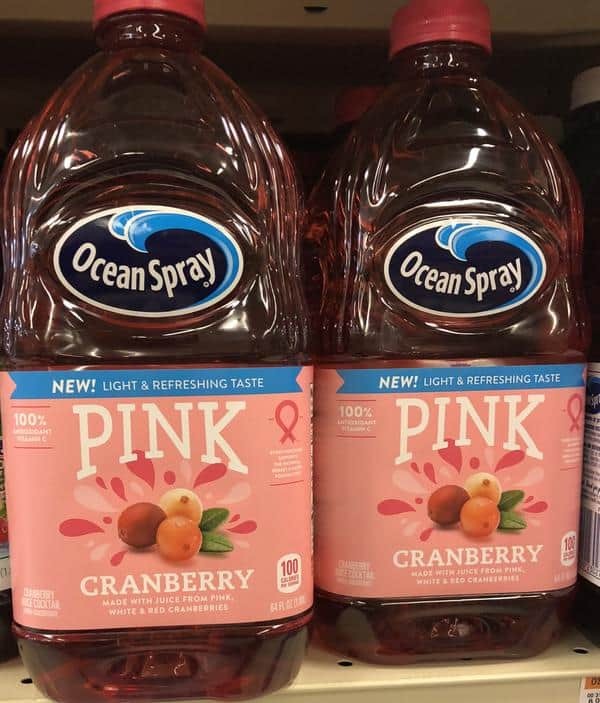 Giant: Ocean Spray Pink Cranberry Drink Just $1.74 Thru 11/15! Thru 11/15, Ocean Spray Pink Cranberry Cocktail is priced at $3.50 each. Plus we can use Ocean Spray Pink Cranberry printable coupon on this deal that will make the final price only $1.74 each.